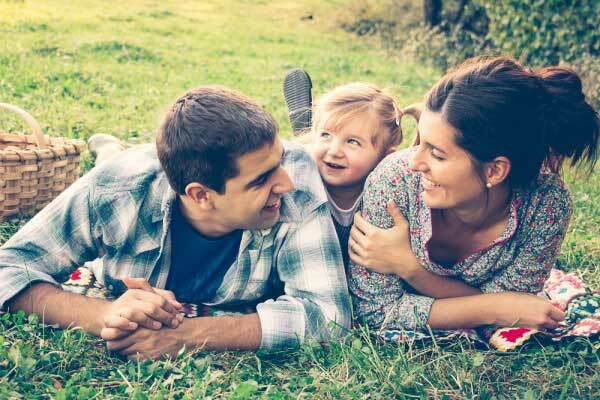 Start a Family Before Turning 35: Childfree life as well as single life can be fun but sometimes every woman asks herself whether she needs a family or not. When you are single, you can enjoy life, take care of yourself, buy everything you want and travel with ease. Life without responsibilities is a pleasant and colorful thing, but sooner or later, you may start thinking about a family. No matter how independent, self-sufficient and emotionally tough you are, you need a family, because it’s a cherished dream of every woman. Here is why family life should be important to a woman. Start a Family Before Turning 35. A woman’s mind is an anxious mechanism that always gives birth to obsessive thoughts, ideas, worries and reflections, especially when she is unhappy and dissatisfied. An unmarried woman is always looking for a manly and decent man. She often sees a husband in every man she dates and start building castles in the air. The only thing that can bring this search to a stop is a happy marriage. Sound silly? Nope. Women who respect, love and obey their husbands, instead of challenging them or crossing their word, usually obtain both material and spiritual benefits. The main thing is to find a kind-hearted man who tends to live the right way. The union based on love, mutual understanding, respect and obedience helps a woman open up, wave goodbye to anxiety or uncertainty, bring up mentally healthy kids and live a good life. Unfortunately, modern women prefer to not to be obedient to men, but try to find the peace of mind and place under the sun independently. Personal growth is impossible without a family. You may not know, but a husband plays a big role in his wife’s life. Every time you feel that something is wrong with you and want to change it for the better, look at your husband. He is a reflection of your emotions, feelings, habits, behaviors and personal characteristics. His shortcomings can open your eyes to your dark side and give you a hint what to improve or change about yourself and what to keep as it is. Let me explain. Despite all the beliefs, some working women accept that it is great to be a housewife. They would be glad to give up everything and dedicate themselves to family. Before you turn 35, your career won’t be important to you, so do not think that you are better off alone. When your husband has a stable job and good income, why not focus on child-rearing, home comfort, harmony within the family and self-development? The most crucial life mission of every woman is to bring a child into the world. It is better to have babies after you get married with the person you love, trust and respect. Thus, your child will have an opportunity to grow up in a healthy and stable family environment. The problem is, many ladies run to extremes and adopt children or choose artificial insemination, istead of trying to start a family. If your reproductive system is healthy, try to find your love first. It is important to your future child. A woman is a divine and delicate creature who needs a man to be sheltered from the pain and harshness of the world. She finds it difficult to make her home and daily life comfortable without a man’s helping hand. We have to do repairs, lift weights and walk through dark alleys alone. When you have a husband, your life automatically becomes better and safer. After all, it is wonderful when there is someone you can always rely on. Besides personal growth, one of the most pleasant advantages of a marriage is co-development. If your husband is not only a perfect breadwinner, but a like-minded person, then you are an unbelievably happy woman. You have twenty four hours a day to speak about everything you find interesting, make plans, teach each other, travel together, discover something new and experience different emotions. Even though there are many other reasons women need to start a family before turning 35, these even are the most critical ones. Only a harmonious marriage and sparkling children’s eyes can make a woman satisfied and happy. Are you ready to start a family? When is the best time to start a family? What is the best age to start a family?